Manuel Rosenthal (18 June 1904 – 5 June 2003) was a French composer and conductor who held leading positions with musical organizations in France and America. He was friends with many contemporary composers, and despite a considerable list of compositions is mostly remembered for having orchestrated the popular ballet score Gaîté Parisienne from piano scores of Offenbach operettas, and for his recordings as a conductor. Rosenthal was born in Paris to Anna Devorsosky, of Russian-Jewish descent, and a French father he never met. His surname was taken from his stepfather, Bernard Rosenthal. He started his musical studies on violin at age 6, which he played in cafés and cinemas after his stepfather's death in 1918 to support his mother and sisters. In 1920, he entered the Conservatoire in Paris but eventually left it after failing to win an expected first prize. In addition to continuing his violin studies with Alterman and Jules Boucherit and playing in theatre and cinema bands, he also studied composition. Around this time he met Léo Sir, inventor of string instruments known as the dixtuor, and was persuaded to play the sursoprano (a 4th higher than the violin) and find composers to write for this new medium. Through this Rosenthal met eminent young Parisian composers of whom Darius Milhaud and Arthur Honegger were the most distinguished, and also contributed his own music to a recital in Paris in October 1921. His Sonatine for two violins and piano, composed for a sight-reading examination, was acclaimed after its performance at the 99th concert of the Société musicale indépendante in Paris at the end of October 1924, attended by both Nadia Boulanger and Alexis Roland-Manuel. After a stint in the military he became Maurice Ravel's third and final student, seeing him once or twice a month while also having lessons in counterpoint and fugue from Jean Huré. while continuing to play violin in the Moulin Rouge and Casino de Paris café orchestras. Ravel's encouragement ultimately led to his winning the Prix Blumenthal (worth 20,000 francs) in 1928. Ravel lobbied the directors of the Opéra-Comique to get Rosenthal's one-act opera Rayon des soieries performed there in June 1930. He also arranged for Rosenthal's conducting debut, at a concert composed of Rosenthal's own music in 1928. Rosenthal composed prolifically in many classical genres, including operas, operettas, ballets, 13 works for orchestra, choral works both with orchestra and a cappella, works for solo voice and orchestra, chamber music, and music for voice and piano as well as for solo piano. The wide variety of his work, in terms of both genre and tone, reflects his refusal to accept the stylistic compartmentalization prevalent in Paris in the 1920s. His reputation as a composer was sealed in France with Jeanne d'Arc, first performed in 1936, although this was followed by a production of the light-hearted one-act operetta La Poule Noire of 1937. 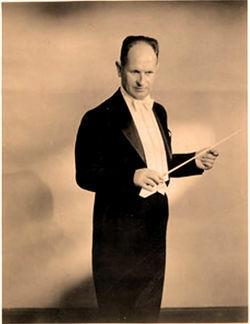 His best-known compositional work was not his own, the 1938 ballet Gaîté Parisienne orchestrated from operetta selections by Jacques Offenbach (copied manually by assistants who chose them from piano scores they speed-read in the Harvard University music library, the most complete repository of Offenbach scores known at that time). The commission by Léonide Massine was originally entrusted to Roger Désormière, but for lack of time Désormière asked his friend Rosenthal to take over the project. Rosenthal was initially reluctant, but fulfilled the commission. Massine rejected the score but, after arbitration by Igor Stravinsky, finally accepted the work and choreographed the ballet, which turned out to be a major success. He also orchestrated works by Federico Mompou and Ravel. He was a fluent composer of choral and sacred works, such as La Piéta d'Avignon (1943), Trois pièces liturgiques (1944) and Missa Deo gratias (1953). Parts of his Saint François d'Assise may have influenced Olivier Messiaen, who wrote an extensive opera on the same subject. In 1965 his serious opera Hop, Signor! was a disappointment in Toulouse and at the Opéra-Comique. This page was last modified on 16 July 2018, at 13:57.